I am not in the mood today , so go shop online. Nothing to do with that! I feel so bored again. Here we go! 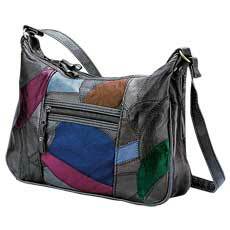 Made of genuine leather with a patchwork design, this easy-carry shoulder bag is always in style. Four zippered compartments keep your valuables secure. 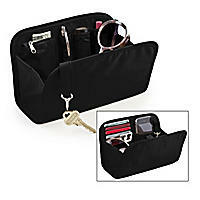 Two roomy compartments with top zipper make it easy to find your wallet and checkbook. 12" x 9 1/2" x 3". This entry was posted on 6:53 AM and is filed under Personal , Wfashion . You can follow any responses to this entry through the RSS 2.0 feed. You can leave a response, or trackback from your own site. agoy stress reliever nako ning online shopping sis...imo man kaha gpakyaw ha...ehehehe!